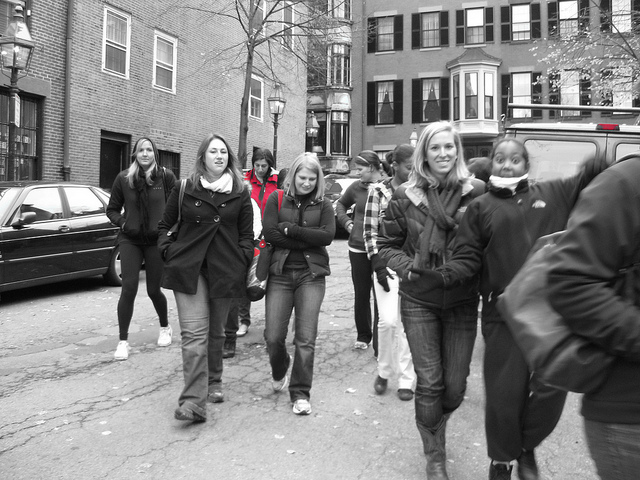 Welcome to the Junior League of Boston Blog! - The Junior League of Boston, Inc. When I came across this quote from Helen Keller, I immediately thought about the Junior League of Boston and all our members. Our history is rich with stories of women who are inspired to come together to make a difference for those in need. For those of you who are unfamiliar with the Junior League of Boston, we are an organization of nearly 900 women who are committed to promoting voluntarism and improving the community through the effective action and leadership of trained volunteers. We are also one of 293 leagues worldwide with over 155,000 women working in communities throughout Canada, Mexico, the U.K. and the U.S.
What I love about the Junior League is that we see a need in the community, seize the opportunity, and take action. Our founder, Sarah Lawrence, would be incredibly proud that the women of the Junior League still carry on the same vision and values she felt so passionately about when she founded the Junior League of Boston in 1906. Throughout our 107-year history, we have successfully created meaningful programs to address emerging needs in the Boston community and continue to leave a legacy of leaders who bring their knowledge and experience to the community we serve. We have created this blog to continue to share our story with you. In future posts, we will highlight stories of the impact we make in the Boston community. We will offer you a peek in to the experience of our members. Who knows? We might even inspire you to partner with us, join our organization or take steps to improve your own community. As this blog takes shape in the coming year, I want to thank everyone for their passion, commitment, and action as we collectively seek to move our mission forward. I look forward to an exciting year as we plant seeds and watch them grow into meaningful opportunities. This is our time to create a brighter future for the Junior League of Boston, for the next generation of women leaders, and for our community. I look forward to going on this journey with you this year and together, building our future.